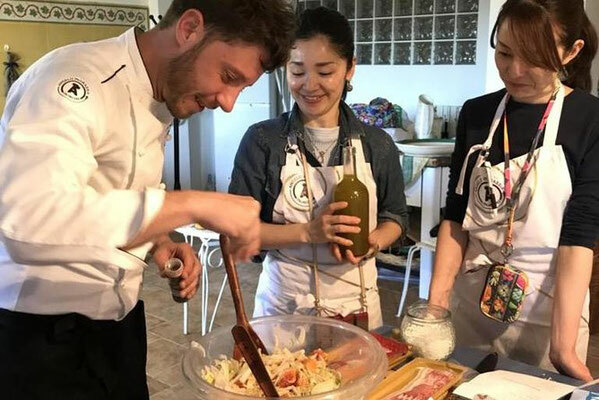 Your private guide will pick you up at your hotel, accommodation or port in Syracuse, and you will start this unforgettable activity combining private tour of Ortigia and cooking class with personal Sicilian chef. 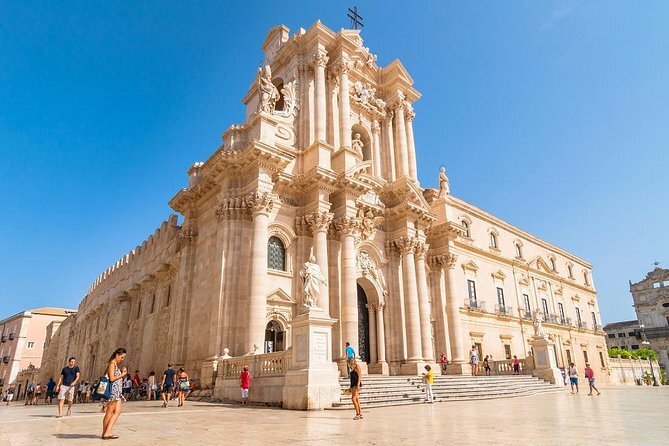 First, with your local private guide you will visit Ortigia island - old historic center of Syracuse, one of the most beautiful and ancient places in the world. You will discover the most important buildings and monuments, enjoy hidden corners of Ortigia, and feel the exceptional atmosphere of Southern Italy visiting colorful fruit and fish markets. Private tour guarantees friendly and relaxed atmosphere and personal attention from your informative professional guide. During the private walking tour of Ortigia, your guide will share with you his knowledge and love for his mother city, and you will see the Greek Apollo Temple, the Cathedral Square - world heritage site with its bright limestone buildings, the Cathedral - the most important baroque monument in Sicily, Palazzo Beneventano - in the past a site for the senate of the city, St. Lucy Church - Norman monument of the 15th century dedicated to the patron saint of Syracuse. The tour then continues to Arethusa Fountain. The legend tells that the nymph Arethusa, changed into a watercourse by her goddess Artemis in order to escape the attention of unwanted suitor Alpheus. Then you will arrive to the Jewish Quarter, Via Maestranza - the street where the nobility of the city had their pompous homes. You will continue walking in Archimedes Square and see the neoclassical Fountain of Diana which reminds about the glorious past of Syracuse. Then you will visit the local fish and fruit market where you can feel an unforgettable atmosphere of Southern Italy. Here you will get fresh organic ingredients for your private cooking class, and proceed by a fisherman's boat to a neighbouring district where the private villa of the chef is located. Your personal Sicilian chef will welcome you with a glass of chilled white wine or prosecco, and you will start your private cooking class. 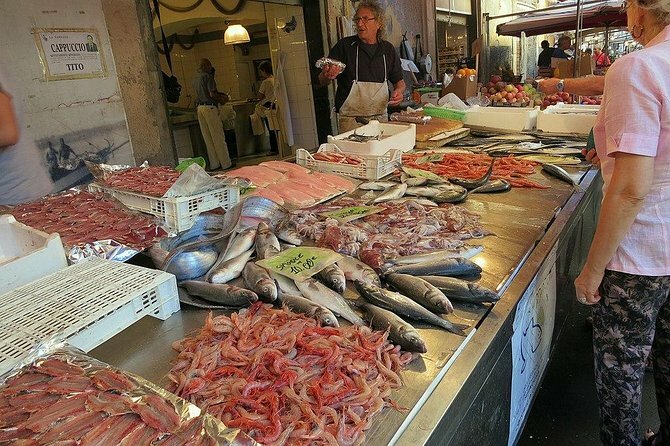 Under the step-by-step guidance of your chef, you will cook traditional Sicilian dishes (you can choose fish or meat menu). 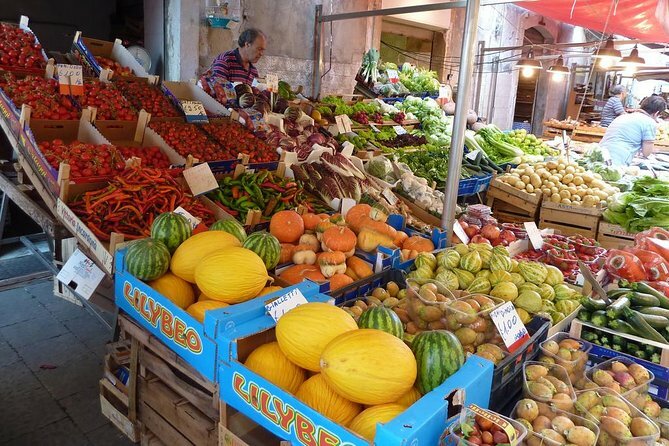 For the starter you will cook traditional Sicilian "antipasto" caponata or parmigiana. For the first course you will prepare pasta from scratch - ravioli or gnocchi hand-made with meat or fish sauce at your choice. For the second you will cook fish or meat dish (when making a booking, please specify which menu you prefer). And of course you will learn how to cook famous Sicilian dolce - cannoli, cassata or granita. 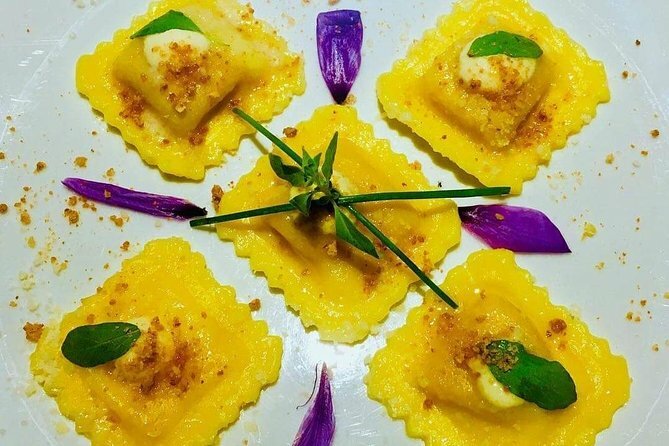 Finally, you will sit at a table on a rooftop terrace observing the Syracuse's historic center and enjoy a delicious Sicilian lunch made with your own hands! Wines, limoncello, coffee and water included. 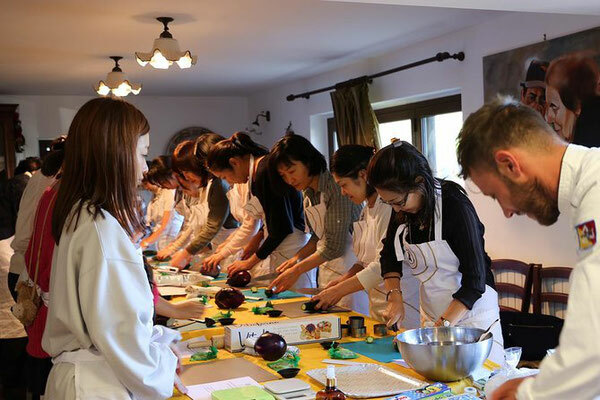 You will be given certificates of Sicilian cooking school, step-by-step recipes and ceramic souvenirs to take away as a memory to your home country. After the class and lunch, your guide will drop you off at your hotel, accommodation or port in Syracuse.